Super cute! So cool to see a round card. Awww....so sweet. He does look good in traditional colours. Great take on my challenge. Hugs. How sweet is this card. The elf is adorable and I love the sentiment. Awesome card Donna!! 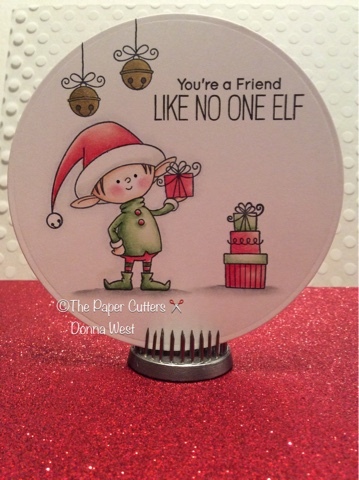 Oh, so cute this elf is... Love it!